The U.S government is denying reports that it paid “blood money” in exchange for the release of a CIA contractor. Raymond Davis, guilty of double murder walks free after the US pays fine from "special fund"
Raymond Davis, an American CIA contractor killed two Pakistani men in Lahore in January. Davis said he shot the men after they tried to rob him at gunpoint. But autopsy reports prove that both men were shot in the back while sitting on their bikes. The killings led to increased tensions between the U.S. and Pakistan. 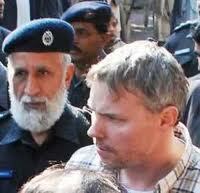 Davis had been held in a Lahore jail since January. Relatives of both victims acknowledged receiving “blood money” in court documents. Rana Sanaullah the provincial law minister of Punjab province told CNN the legal heirs of Faizan Haider and Fahim Shamshad have received a total of 2.34 million from the U.S. government. Raymond Davis was released on March 16. Secretary of State Hillary Clinton applauded the release but stressed that the U.S. government did not compensate the families. What do you call 2.34 million? Come on, Hill’. Don’t blow smoke up my skirt. 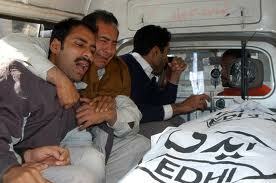 The Supreme Court set up a fund in 2008 for these “types of cases” to be used to facilitate the release of prisoners. Under Islamic (Sharia) law, the punishment is “an eye for an eye”…but special considerations are made under the table for valuable persons…i.e…the payment from the “special fund” mentioned above for CIA agents. While Islamic law allows for the charges to be dismissed if a penalty is paid, the family claims they were “forced” by both governments to accept the payment to quell the riots, protests and sympathy coverage from the media. I understand, the ultimate goal was to get Davis home and preserve all that good intel. I get it. I also get that dude just got away with murder since he can’t be tried in the U.S. for the double murder. WoW…God Bless America…and nowhere else (sarcasm for you slow folks).